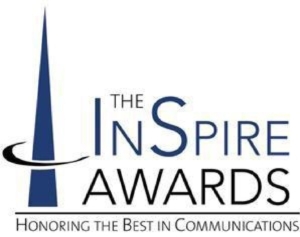 The Bronze InSpire Awards recognize outstanding public relations tactics, the individual items or components of programs or campaigns. Entrants must select a single category or subcategory (if subcategories are identified) per entry. Entrants may choose to enter their programs in more than one category or subcategory provided the entry meets the specific criteria stated for that category. In deciding which category is most appropriate, entrants should examine tactic objectives and target audiences. The entry must be submitted with a separate, category-appropriate, one-page summary (see description below), tactic, registration form, and separate entry fee for each additional category entered. Should NCPRSA receive fewer than two entries within a subcategory* — (A) Business – Products/Services, or (B) Government/Associations/Nonprofit Organizations — NCPRSA reserves the right to have all entries judged under the respective category together. A 100-word description must be included (see details below in the section below). A concise summary — no longer than one typewritten page — must accompany the entry. The one-page summary should be no smaller than a 10-point typeface and one-inch margins. (see more details in the section below). Entrants must combine all materials into one (1) PDF file to be uploaded upon registration. The one-page summary is the single most important component of the Bronze InSpire Award entry. Results — qualitative, quantitative or both — should provide evidence of how the stated measurable objectives were met and how the entry impacted the success of a broader or ongoing program. Confirmation email from the online entry form (required, one per entry). Payment – payment must be submitted at the time of entry. Confirm that the entry title and file name match.